Public bus transportation with routes in South Lake Tahoe and parts of Nevada. BlueGO is a public bus transportation service provided by the Tahoe Transportation District. BlueGO South Lake Tahoe Transportation features a complete list of maps, routes and fare information online. For updated news and information about BlueGO South Lake Tahoe transportation, visitors can "like" Tahoe Transportation District on Facebook. Features: Everyone needs a way to get around and BlueGO Lake Tahoe offers an affordable transportation alternative for those who don't own cars. BlueGO South Lake Tahoe transportation can be a reliable and convenient service for both locals and tourists who don't want to waste time or money on parking fees. 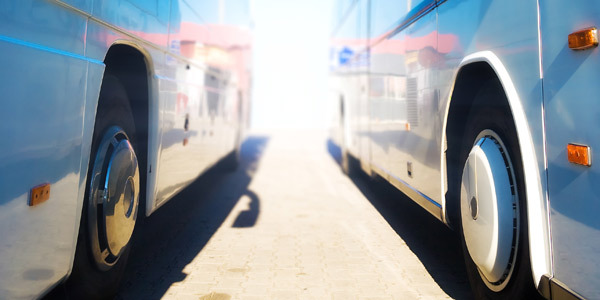 BlueGO Lake Tahoe has a complete bus schedule and fare rates posted online. Know Before You Go: Transportation in Lake Tahoe can be easy to find. BlueGO South Lake Tahoe transportation features several bus routes that run seven days a week. General public fare information for BlueGO South Lake Tahoe public transit system are online. Know Your Fare: Fares for transportation in Lake Tahoe are split between local and regional zones. A local one way ticket is $2 while a regional one way ticket is $4. A regional one day pass ($10) is a good option for those exploring Lake Tahoe all day and can be used at any South Shore or Valley and Lake Express route. Frequent Riders: Local monthly passes for BlueGO South Lake Tahoe transportation are $80 and $120 for regional travel. Bring Cash: Bus drivers do not carry cash with them and are unable to give change back, riders on BlueGO South Lake Tahoe transportation are recommended to bring exact ride fare.